Last in bed | Who Were They? As before, I pulled one piece of the image to manipulate a bit so we can try to see better what is happening. The couple are preparing for bed. Note that the lamp is on the woman’s side of the bed, so I wonder if she will get stuck with the domestic task. 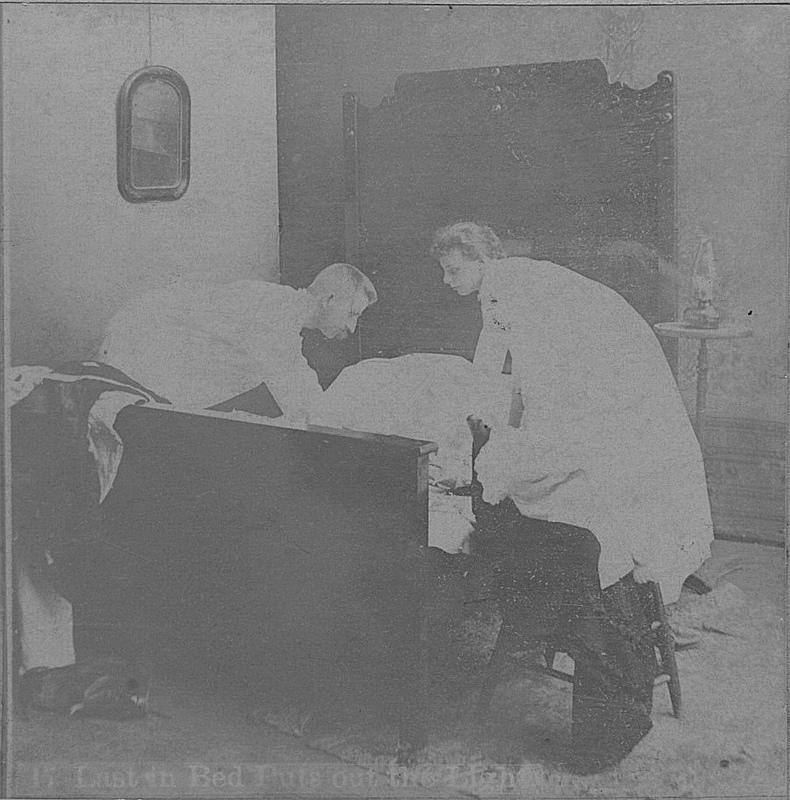 The man has draped his clothing over the foot of the bed and it appears the woman has draped her dress over a chair. The card was made by Webster & Albee Publishers, in Rochester, NY. Apparently the cards were exclusive as they state “Sold only by canvassers.” I am not sure what a canvasser was. I think a canvasser was a “door to door” salesperson. There are 49 different varieties of “canvassers” which was only one occupation category under “Salesmen & Saleswomen”.